A topic very close to my heart- Cancer what is it? Cancer, a word that holds so much fear, for those who have been diagnosed, their family and friends who help them through it and for everyone in the world who fears they may get it. Like so many other chronic conditions there are many ways of defining it and there are many ways of treating it. For your information firstly, by law your health provider is your primary care giver (for cancer and HIV) so if you are looking for alternative treatments you do have the choice but your nutritional therapist or anyone else should seek permission and be in touch with your oncologist. Like any condition without knowing why these changes in your body are taking place, it’s very difficult to then know how to treat it. In this series of 3 blog posts I will try to help you understand; 1. What cancer actually is, 2. How you can best try to prevent it and 3. Ideas on how to help heal yourself, either alongside conventional treatment or things to consider if you choose to forego traditional treatment. I am not a scientist or a doctor so my advice is as a Naturopathic Nutritional Therapist and not specific to any type of cancer or any specific case. Please contact a professional if considering any form of treatment. Now that’s been said, this is how I understand what cancer is, from Andres Moritz – “Cancer is a general term that describes a group of 100 unique diseases that share a common factor: uncontrolled growth and spread of abnormal cell”. Its why this mutation of cells happens, and what the body is trying to do with this spread and change, that I will try and explain today. The body’s singular function is to survive. Each cell is designed with a specific purpose and when its lifespan is up, there are ‘death cells’ that come and take it away to make room for the new ones. Each cell has a purpose and each cell needs an energy source. To obtain, utilise and transfer this energy each cell needs certain nutrients, to feed, break down, catalyse reactions with enzymes and utilise metabolic pathways. Without this our cells will die and therefore eventually we will too. There are many reasons as to why any of these factors for healthy cell growth and renewal can end up in mutation. Believe me it happens every day to every single one of us. It’s when it happens over a prolonged period of time without any change in the circumstances, that we find chronic disease, cancer being the one everyone fears the most. To have good cell renewal you need DNA that will make sure the integrity of the cell information is kept intact. A healthy digestive system that procures all the nutrients needed to build a healthy strong cell are available (fats, amino acids, vitamins, minerals necessary) and the environment that has the right pH for all of these chemical reactions to happen. Combine that with a well circulated, oxygenated and fully hydrated blood supply to feed it and to take away the waste, a healthy immune system to mop up all the rogue bacteria and to dispose of the cells that have served their purpose, a healthy liver to process any toxins produced and a well functioning elimination system to remove all the toxins and waste out of your body, you can see that there are many places where this could potentially go wrong! 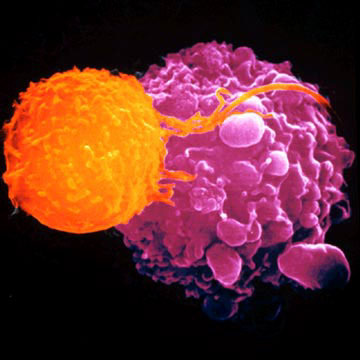 Conventional medicine has identified Cancer as an ‘autoimmune disease’ in some cases. The body is not attacking itself; the ideal environment and circumstances as outlined above has been compromised forcing the cell to mutate in order to continue to survive. Normally the body gives you signs of imbalance and the need to slow down and clear out. A cold is a good example. You get hot eyes, sore throat, and fever to indicate to you that there has been an infiltration. Fever is necessary to increase the body temperature to kill off the bacteria, inflammation is necessary to try and contain the bug so the body can fight it and then the mucous produced is the body’s way of then eliminating it. We are very efficient machines. So why would you then want to reduce a fever and inflammation in order to ‘feel better’? Sometimes you have to stop, feel like crap and let the body do its job; rest, feed it immune boosting nutrients and keep hydrated. By then encouraging the purge you are successfully strengthening your immune system, and getting rid of anything left over. So decongestants, supposedly helping you to breathe, are also not the answer as it just gets broken down and redistributed. Such is the case against Vaccinations and prolonged use of antibiotics. Not only to they upset the body’s natural defences they also contain many toxins and can contribute to the ticking time bomb that may be in your body for years and years. The only way to get an immune system is to get sick and the only way to strengthen it is to provide the nutrients necessary to do its job and to keep the body in tip top condition. This is true for body, mind and spirit. After you take a day off work when you are feeling awful, take the next day too. In the long run you do yourself and your work a favour as by properly convalescence you are less likely to get sick again as quickly as you may if you continue to plough your way through it. Suppressing symptoms is a dangerous game. Excessive stress (whether mental, physical or emotional) is detrimental to your immune system and therefore your overall health. Stress affects you by drawing away your life blood to the organs and supplying the skeletal muscles in the fight or flight mode. Whether you perceive stress or not, stress is a reaction to stimulus, whether that be walking down the road in a city with everything going on around you, to being overworked and underfed in a job situation, to constantly worrying about anything. Even watching TV is a stressful situation as the constant flicker and movement is incredibly stimulating. By diverting the blood supply you are taking away nutrients, oxygen and life source away from the cells in your vital organs breaking the essential environment for cellular health. Any stagnation, mental, physical and emotional will also contribute to this. Cancer cell mutation is a last survival mechanism built in when all other protective measures have failed. It’s actually an ingenious way to survive. A cancerous cell is anaerobic so it can continue to function until the environment changes and it can change back to producing a healthy cell. A cell cannot have malicious purpose or ability, their only function is to survive. Organ failure happens when the constant deprivation of nutrients causes the cell wastage and mutation to continue. Combine that with a highly invasive and destructive poison and toxin that comes in the form of conventional treatment and in my opinion it is a miracle anyone survives such an onslaught from every angle. In my next blog I will go into the various nutrients necessary for good DNA cell replication, healthy and strong cell formation and immune system; How to minimise toxicity and maximise the body’s detoxification pathways on an everyday level rather than a ‘New Year’s resolution quick fix’. Until then any comments and questions are encouraged and welcomed. http://www.canceractive.com/ a holistic cancer charity. http://www.cancerlaw.net/treatments.htm Some of the Law behind conventional cancer treatment and its failings. The Transformed Cell Steven A Rosenberg. Interesting. I was diagnosed with malignant melanoma aged 21 despite having always been sun safe for 21 years (and I don’t mean just using sun cream). There is no history of cancer in my family (we’re a pretty healthy bunch, always have been) so it begs the question.. why me? 1 in 3 people get cancer. That is an alarming ratio. To be honest cancer cells happen in all of us everyday, who’s to say that if you hadn’t been diagnosed it may have resolved itself naturally. Cancer is a label with such a vast spectrum of sub sections! Keep being sun safe and doing what you are doing with your nutrition and reducing your chemical intake and keep an eye out for any imbalances in your body mind and spirit and keep asking for help. I know I’m not perfect, but I know where to go and who to ask for help. Fear needs releasing every day, and happiness is something you can choose! Thanks Loula; well explained. 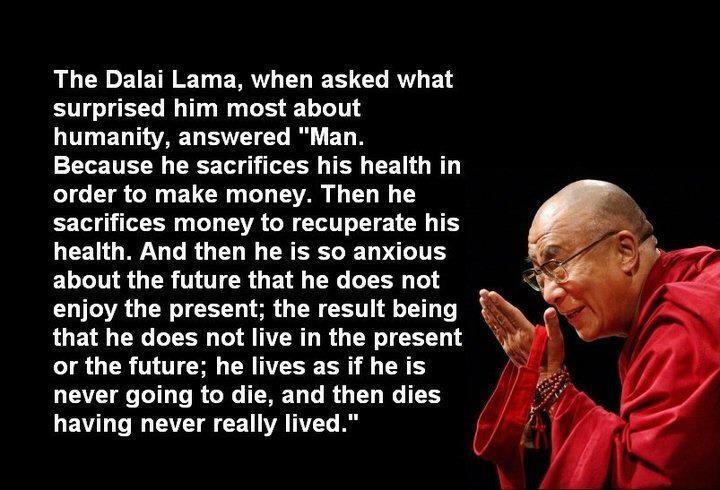 Love the Dalai Lama quote and useful references. I am involved in a group supporting women with cancer so will be passing this on to them. Look forward to the next parts. Very well written concise explanation, which should encourage readers to understand that cancer is not a random attack on the body but the bodies attempt to respond to its internal environment. We play a huge part in the choices we make everyday with our food choices, water intake etc; even how we perceive the world around us. It is essential that patients are taught to understand this if they are to have a good chance to overcome cancer. Thanks Clare, it’s so important to try and get people to take back some responsibility over their choices and their lives. I’m so relieved to have come over as clear and concise. If you have any other links to include for people to refer to please let me know and I will add them. And feel free to share this blog with anyone you feel could benefit from the information.